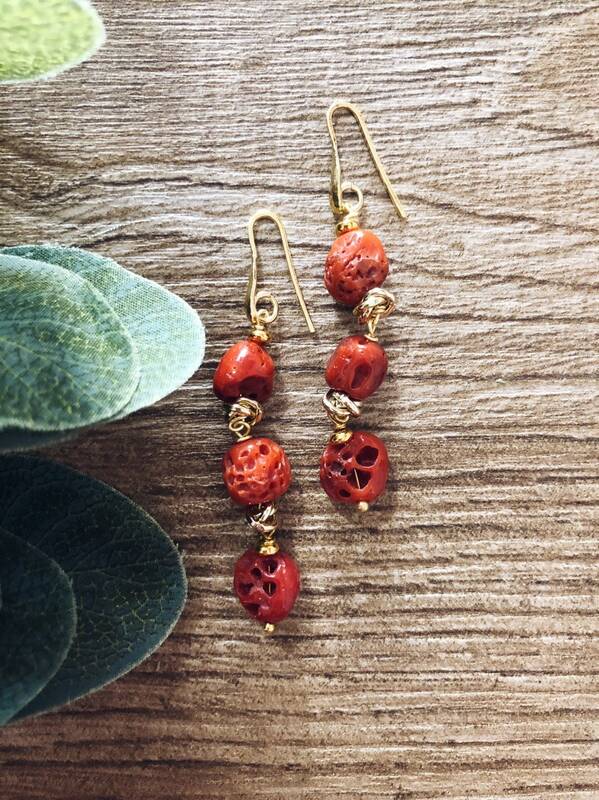 The earrings for sale are made with steel pins and pebbles of authentic coral interspersed with knots in golden aluminum. IMPORTANT: Coral pebbles will NEVER have the same size or shade of color or shape. All natural stones are different, no stone is the same as another.